Snapshot: This article provides an overview of nursing documentation, including a discussion of its importance, documentation guidelines, and how documentation fits into nursing practice as a whole. What is Documentation, and Why Is It Important? Documentation is the record of your nursing care. Documentation is the primary way that we, as RN’s, demonstrate what we did, for whom, when, and with what effects. Documentation encompasses every conceivable form of recordable patient data and information, from vital signs to medication administration records to narrative nursing notes. Documentation is a legal record. Documentation is not merely “record keeping”; the documentation that comprises a patent’s medical record is also a legal document. Documentation is therefore a means for others to assess whether the care that a patient received met professional standards for safe and effective nursing care, or not. “If it wasn’t documented, it wasn’t done.” From a professional (and legal) standpoint, this is entirely true. In this sense, documentation is how we “prove” what we did (or didn’t) do in the course of caring for our patients. For this reason, documentation isn’t peripheral to your job as an RN, it’s central to it. Document clearly and accurately. Avoid abbreviations, acronyms, and medical jargon. Keep in mind that documentation may be read by patients and other individuals without clinical training. Not everyone may know that “HTN” means “hypertension,” that “WNL” means “within normal limits,” and that VSS means “vital signs stable.” Even some RN’s and other clinicians may disagree about the meaning of various terms and acronyms. Avoid confusion by spelling things out. Avoid vague terms and generalizations. When you document, be as clear and specific as possible. For example, don’t use vague terms like “small” to describe a pressure ulcer (decubitous ulcer); instead, write something like, “stage II decubitous ulcer in sacral area, 1.5 cm width x 1 cm breadth x 0.5 cm deep; no drainage or tunneling present.” If you’re noting how much a patient ate, don’t write, “patient ate some of her meal.” Instead, write something like, “patient ate approximately 50% of food on lunch tray.” If you’re unclear, others either won’t understand what you meant, or worse, may assume that for some reason you’ve deliberately omitted clinical information. Document what you did or observed, not your opinion. One of the big no-no’s in medical documentation is to shade your charting with opinion, rather than stick to the facts. For instance, you should never chart something like, “Patient uncooperative, will not take medications.” Instead, simply write, “Patient refuses medications.” If a patient is rude, inappropriate or even hostile, don’t record those subjective judgments in your notes; instead write, “Patient made verbal threats toward myself and other staff members; per hospital’s safety protocol, security personnel called to patient’s room.” Whatever the circumstances, you should record observations, actions and events, not judge them. Document care, not conflicts. Just as you should avoid recording judgments about patients, you should avoid documenting disputes or conflicts between yourself and other medical professionals. For instance, if you were unable to give a medication because it was unavailable from the pharmacy, don’t write “medication not given because pharmacy could not provide it on time despite 3 follow-up phone calls.” Instead, write something like, “medication not given because it is currently unavailable from pharmacy.” (Better yet, note the facts of the challenge and what you did to overcome it; i.e., “medication not given because it is currently unavailable from pharmacy; contacted physician, obtained order to administer available medication with equivalent therapeutic effects.”) We all face stress and sometimes conflicts at work; vent to your friends, not in your documentation. Only document care that you performed. This may sound obvious, but it bears repeating nonetheless: never document observations you didn’t make, medications you didn’t give yourself, or care you didn’t actually perform. Documenting care that you either didn’t perform, or care performed by someone else, is not only foolish and unethical, it’s fraudulent. Some oversights, and even errors, are inevitable in nursing, but dishonest documentation is unforgiveable and totally avoidable; develop good habits early in your career and avoid this unethical and illegal behavior at all costs. Document in a timely manner. In the course of a busy day, it’s not always possible to document right after you do something. Nonetheless, make an effort to document as soon after you perform care as possible. Not only will your documentation tend to be more accurate, you’ll also avoid the time-management trap of leaving all of your documentation until the end of your shift, when you’re usually tired and short on time (and often short on energy and patience as well). Remember, documentation isn’t peripheral to your job as an RN, it’s central to it – and a legal requirement too. Get into the habit of documenting as early and as often as you’re able throughout your day. Avoid spelling and grammatical errors. While this isn’t the most important guideline to follow, correct spelling and grammar nonetheless matters. Not only are spelling and grammatical errors distracting, they also make your charting appear sloppy, unprofessional and possibly unreliable, especially if they are numerous. After all, if you can’t even be bothered to spell correctly, why should someone trust your ability to accurately and reliably deliver care? Remember that documentation is not for your eyes only; your charting is a part of a patient’s permanent medical record, which is also a legal document. Some typos and mistakes are inevitable, especially when things are moving fast, but do your best to minimize them. Write or type legibly and professionally. This piece of advice is along the same lines as using correct spelling and grammar in your documentation. After all, if someone can’t read your charting, it’s useless to you and to him or her. If you do computer charting (which is increasingly common), write in complete sentences, using a standard font, color and size. (Typing your notes in purple, 16-point font is unprofessional and distracting). Don’t type in all caps, as this makes your writing more difficult to read and is analogous to ‘shouting’ with your writing. If you’re charting on paper, use only black or very dark blue ink, as other shades can be difficult to read and don’t photocopy well. Never use pencil, as this can smudge and is more difficult to read. Documentation is the most important at the most challenging times. When things are going smoothly, there’s usually plenty of time to document in an accurate, detailed, and timely manner; when things aren’t going smoothly, there can hardly be enough time to document at all. But it’s precisely when things aren’t going well – for instance, after a code, or after a complex patient admission, discharge or transfer – that it is most important to document well. After all, what are the chances that someone will examine your charting if your patient faces no complications? Probably low. This predicament isn’t necessarily problem, but it is worth bearing in mind. Even if you’re exhausted or have to stay late to document after a challenging clinical encounter, it’s worth it because during these times clear, accurate and timely documentation is especially important. Even if things don’t go well for your patient, if you’ve documented well you can protect yourself and the nursing license you worked so hard to obtain. Develop good habits. Documenting well is sort of like brushing your teeth; it can be time-consuming (and sometimes annoying), but if you’ve gotten into the habit of doing it – if it’s an almost automatic part of your day – then it’s much more likely you’ll do it consistently and well. As you gain experience and confidence, it can be tempting to let the quality of your documentation slip. If no one’s ever questioned or audited your charting (at least to your knowledge), you may even mistakenly convince yourself that documentation isn’t important after all. Don’t fall into that trap. When you let your documentation slip, you jeopardize yourself and your license, and beyond this, you make it much more likely that you’ll forget to document (or fail to document well) after a challenging clinical encounter when it is vital to prove that the care you provided was professional and safe. Documentation lasts forever; liability doesn’t. Here’s a piece of good news: even though your nursing documentation will become a part of your patients’ permanent medical records, you don’t have to worry about if or how that documentation could come back to haunt you forever, at least from a legal point of view. 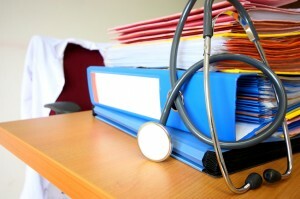 The statute of limitations for most medical malpractice cases is two years. This means that, no matter what happened to a patient you cared for (or how shoddy your documentation of those events may be), a patient and his or her lawyer would have a very difficult time holding you or other healthcare professionals liable for any oversights or wrongdoing after that time. While RN’s are only infrequently named in malpractice suits, and while unsafe nursing (demonstrated via documentation) could still jeopardize your license after this period, it is helpful to know that patients must act within this window of time if they wish to take action against you. Hopefully you’ll never face a lawsuit or sanction on your license, but this is important information to possess nonetheless.